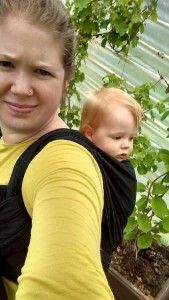 A quick review on the Yaro La Vita linen blend that briefly visited us recently as part of a giveaway (now ended but check out the page for more), on Sling Sally in conjunction with Pour La Bebe who stock a range of baby carriers and accessories, and All the Small things who expertly dyed the wrap. 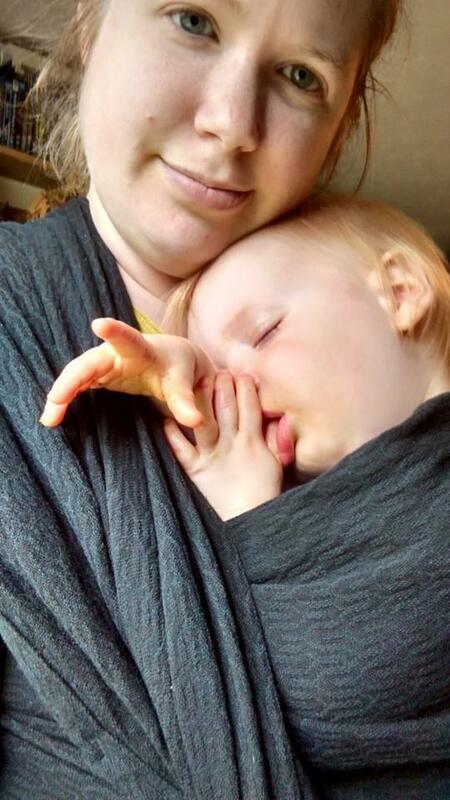 Despite being a brand new linen blend wrap which could have made it a little stiff to use I actually found the wrap really nice to wrap with. 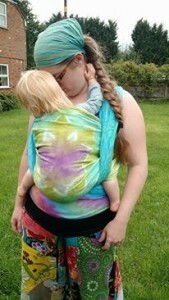 It was nice and sturdy but still flexible for use and was plenty supportive enough for toddler Reu. It’s not a thick wrap so would be nice to use any time of the year. I don’t think it would take much use at all to be fully broken in. As for the dye job, it was quite simply beautiful. 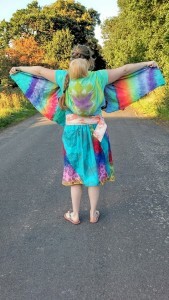 Lindsay at All the Small Things is a true master of her craft, and had created a stunning design with wrap width rainbows at each end and a lovely lotus design marking the centre point of the wrap. 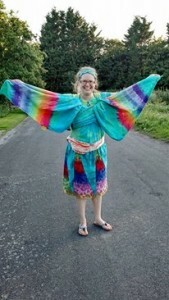 I have got some of Lindsay’s other tie dye work and can vouch that it’s all to a very high standard. 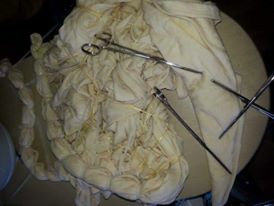 She offers a custom service including dying both stretchy and woven wraps as well as many other items. 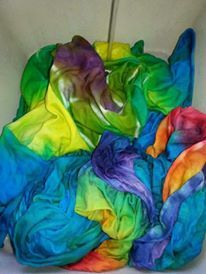 We loved this wraps brief visit with us, both for its wrapping qualities and the beauty of the dye design. The plain black looks really quite classy, and the weave pattern, which reminded me of Roman mosaic designs, is subtle but adds to the overall effect. Being all black it would go with anything, to any event and work for either a man or woman. This wrap arrived to me brand new but was already light and floppy, straight out of the packaging. 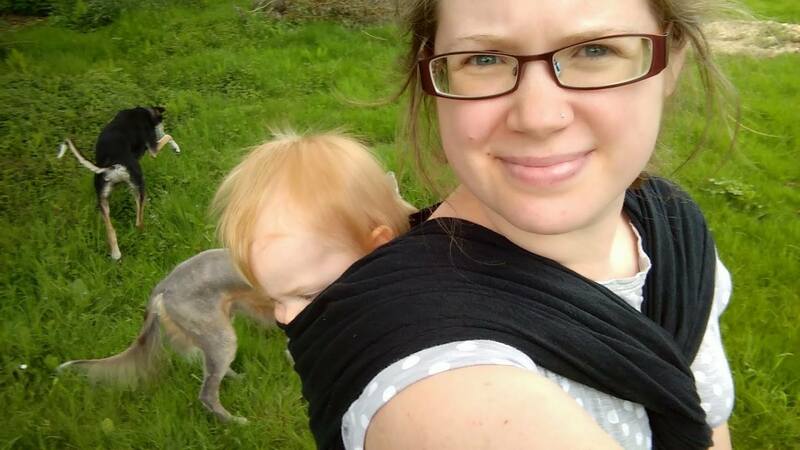 Because there was no stiffness to it, it was really easy to use straight away. There is some stretch to the wrap, and the texture of the weave design looks like it should provide enough grip to hold a knotless finish well. 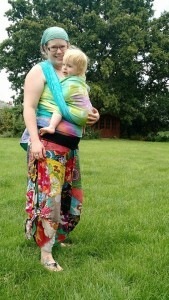 I used Black Turtle for a front wrap cross carry tied under bum for Reu, my 15 month old toddler. 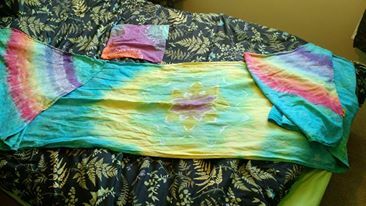 I found it really nice and floppy to work with, and found the slight stretch of the wrap added to the ease of wrapping. 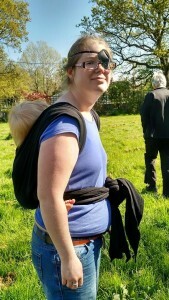 It was very comfortable and Reu was asleep within seconds (I hadn’t even finished tying the knot!). 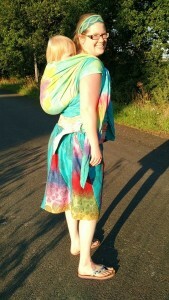 The first back carry I tried with this wrap was a ruck with knotless tibetan finish (a personal favourite carry). 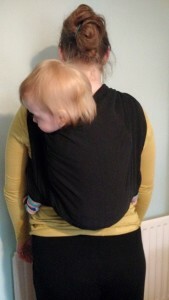 The wrap is a good width and was flexible enough even from new to easily form a good seat. 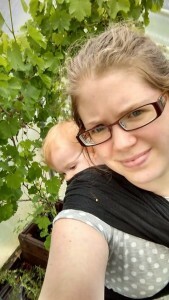 It was very easy to work with but I did find that it wasn’t as cushioned on the shoulders as some other wraps I have tried. I had just bunched the ruck straps for the knotless tibetan ruck carry so when I next used the wrap for a basic ruck tied at waist, I sandwiched the shoulders, and this completely solved the comfort problems. 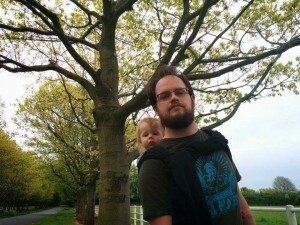 I carried Reu in this ruck with sandwiched shoulders for quite some time and it remained comfortable throughout. I also tried a double hammock with single ring finish and a ruck with sandwiched shoulders, twist in front and ring finish at waist. 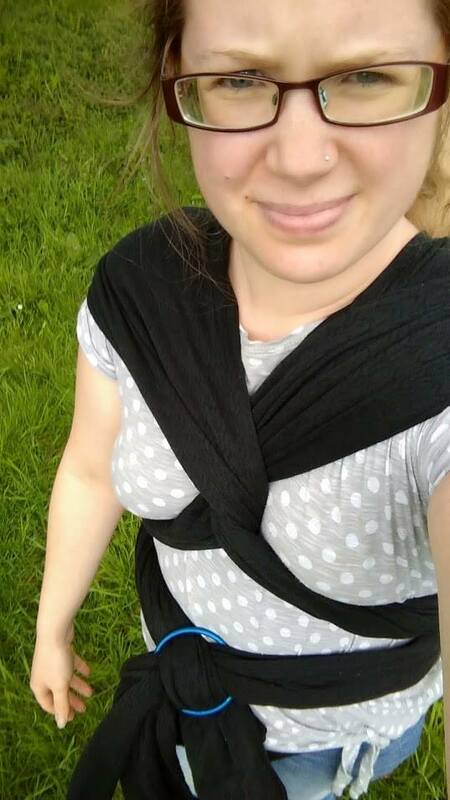 I found both comfortable and the wrap held well and was easy to work with. When I tried the ruck finished knotless tibetan I found the texture of the weave held well without being so textured as to make it difficult to make the passes and the wrap didn’t slip at all. I tried a couple of ring finishes while Black Turtle was with us. 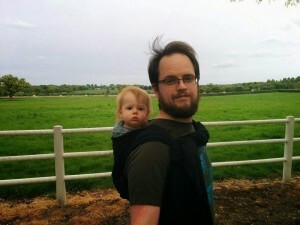 First was a double hammock with single ring finish using a large sized sling ring. I found this a comfortable carry and it held well through the ring. The second ring finish I tried was a ruck with ring finish at waist. I was using a large sized sling ring but I think a medium would have held the finish better. Despite this it still held well and was comfortable. When this wrap first arrived I was worried I would find the plain black a bit boring, as I usually go for brighter coloured wraps. But I actually really loved it; it went with everything and I found myself reaching for it frequently. 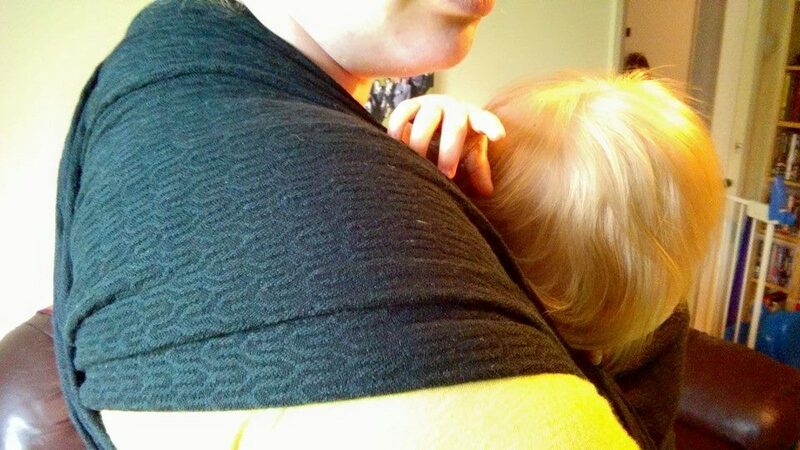 It was easy to wrap with and supportive for my toddler, especially once I’d sandwiched the ruck straps. 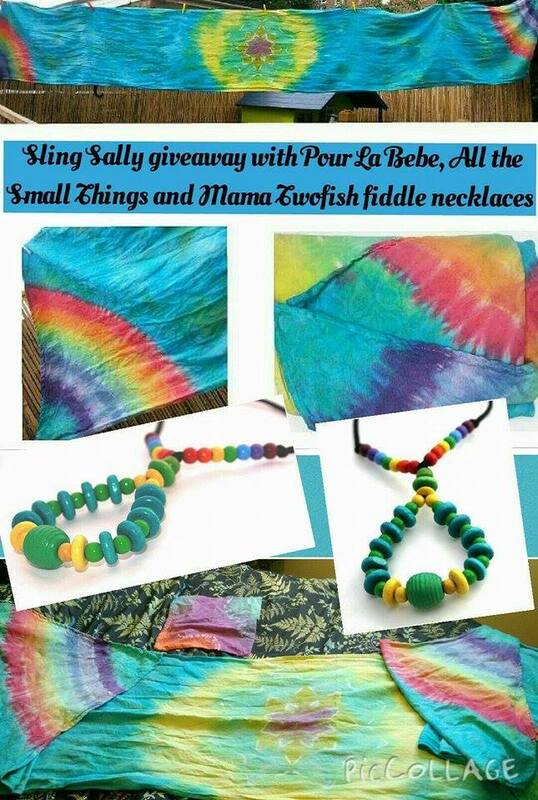 I noticed it softening in the few weeks it was with me and I’m sure it will continue to do so in its new home at a local sling library (thanks to Pour La Bebe’s very generous donation). 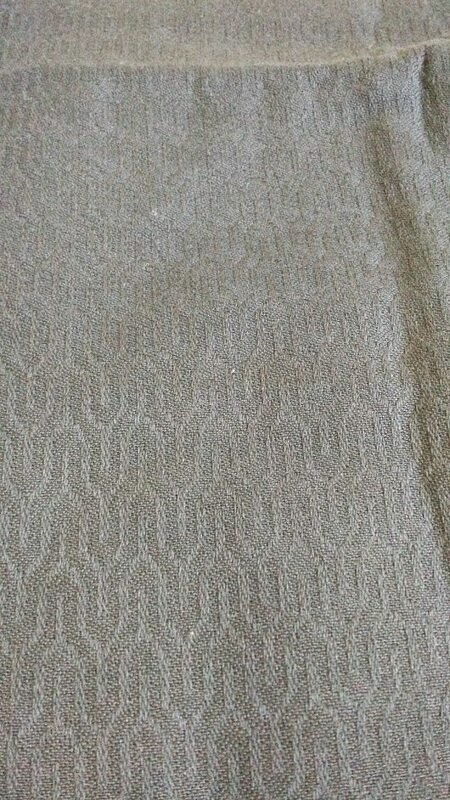 I found it easy to use straight from new and really liked the design of the textured weave. 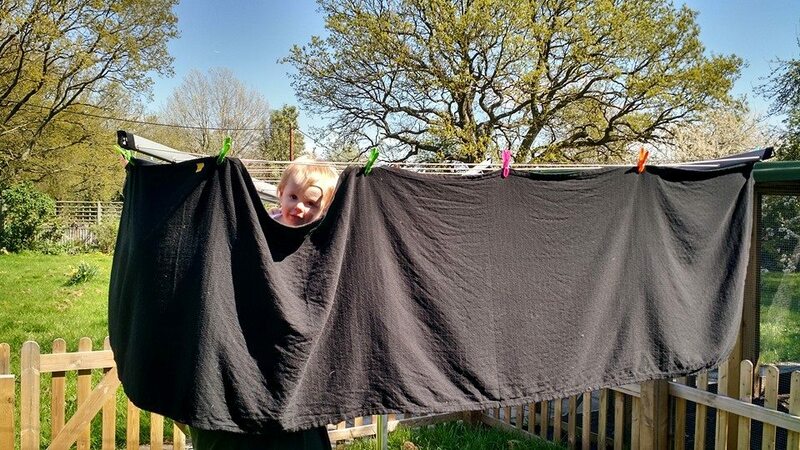 It’s a great wrap for the price and could be a real use anywhere for anything kind of wrap. Ben had a couple of quick goes too and found it sturdy with good grip, so he felt confident in his finishes. He also liked the texture and colour so found it a good unisex design.